Photo belongs to: Mrs. David E. Jones, Rt.1, Oregon City. Will call for picture. Grange Hall used as a temporary school, 1890? Description From the estate of Blanche Jones, Jr. of Mulino, Oregon. Mounted on cardboard; slight spots and scuffing. Same as 314b, c, d & 1589. Transcription Photo belongs to: Mrs. David E. Jones, Rt.1, Oregon City. Will call for picture. 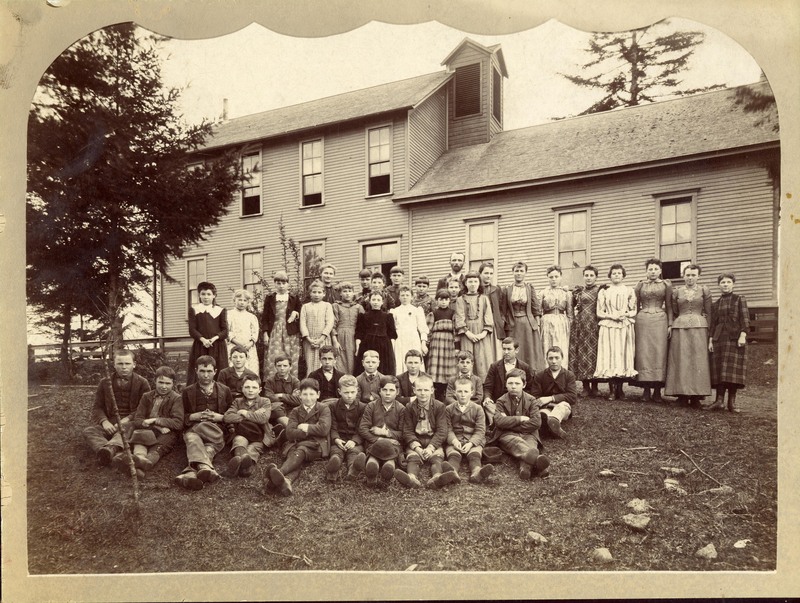 Grange Hall used as a temporary school, 1890?